Xiaomi seems to be taking over the Indian mobile industry with a storm since its entry. Xiaomi is the second largest mobile provider in the country. The brand’s smart phones are a sell out in every flash sale in India. 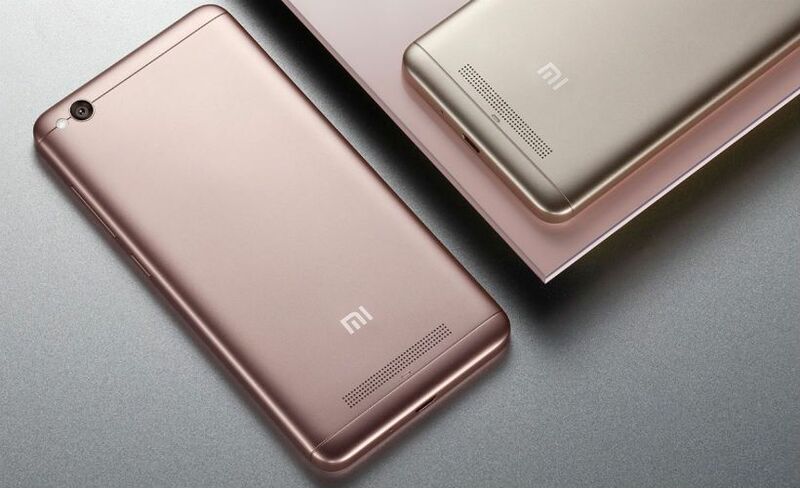 As it is only available for sale on online platforms they are known for using their own skin for their Android products; MIUI. The company is popular for manufacturing the best advanced technology products at a budget friendly price. One of such example includes, Xiaomi Redmi 4A Price in India, the phone pretty much offers every latest possible feature with a camera and user interface that will definitely make you want to invest in this set. Xiaomi Redmi 4A Price in India, starts at just Rs. 5,999. Previously the phone was launched in November 2016, but now a VoLTE 4G version of the phone has launched in India, which offers all the similar features of the earlier version with an advancement of VoLTE, considering the popularity of Reliance Jio Network. This is one of the most promising low budget phones in the country that comes with the entire latest feature and the best technology. The phone comes with a 16 GB and 32 GB internal storage variant with have a price difference of merely Rs 2000. The phone comes with an IPS LCD touch screen of 5.0 inches with 16M color display contributing to an HD resolution of 720 x 1280 pixels. Xiaomi Redmi 4A Price in India, manages to deliver the best outlook even at its low price. The phone will surely satisfy in the design and style department. Its screen size, contributes to its easy and comfortable usage, as it fits in your pocket, which makes it easy to carry. The HD quality pictures and video provided by the device, is a major selling point of the phone, apart from its eye catching prize. Surprisingly, with Xiaomi Redmi 4A Price in India, the company is giving you a 13 MP rear camera with LED flash and autofocus, that gives flawless pictures. It also has a front camera of 5 MP that will surely make you want get more active on platforms like Snapchat. It also offers HD video recording of 1080p. The phone’s camera comes with other features like geo tagging, face/smile detection, HDR, panorama and touch focus. However, camera pixels can get a little grainy while clicking pictures in the dark, however, at this price; you are definitely getting the best camera quality without any doubt. It runs on an Android v6.0.1 Marshmallow that is backed by its Qualcomm Snagdragon 425 chip set, considering Xiaomi Redmi 4A Price in India, the company has still managed to add the most advanced user interface in the device. It works on a Quad core processor of 1.4 GHz. The phone is available in two variants 16 GB and 32 GB both of which will constitute a 2 GB RAM. The phone allows you to expand your storage up to 257 GB through its hybrid SIM 2 slot. The phone serves its purpose, however it is getting a few complains of lagging while using multiple applications. Xiaomi Redmi 4A Price in India is offering a battery that is more powerful as compared to the other devices that fall under the same price range. It comes with a 3120 mAh Li-Ion, non removable battery, which sadly doesn’t support quick charging, but does ensure usage of more than 5 hours. This is also one of the reasons why you should opt for this phone rather than any other phone of the same price range, which are only offering a 2100 mAh or 2500 mAh battery at max. Verdict – If you are on a budget, and are looking for a new phone, this phone is guaranteed to come on your screen during your hunt online. Xiaomi Redmi 4A Price in India is set at just Rs 5,999 and is packed with everything you can desire in a phone. It comes with a great camera that will give the most flawless images and enough memory extension option which ensures that you never run out of space. Compared to its prize, it definitely offers a great user interface. The phone supports all your favorite applications as it comes with Marshmallow that operates everything from Facebook to Instagram.